for Restaurant & Deli Discounts Emailed Directly to you!! Welcome to Ben & Irv’s! Located in Huntingdon Valley, Pennsylvania, we are proud to serve the best corned beef sandwiches, matzo ball soup along with hundreds of other delicious homemade Jewish delicacies in suburban Philadelphia. We have been family owned and operated since 1955, when we were located on 77th and Ogontz Avenue in the Mount Airy section of Philadelphia. That tradition to the finest quality food and service carries on 50 years later. We are open for breakfast, lunch and dinner 7 days a week. Our full service deli counter has the finest smoked fish and kosher style meats around. In addition, we have extensive catering menus for home and social events along with a special catering menu for corporate meetings and for pharmaceutical representatives. From our family to yours, welcome to Ben & Irv’s! Take 10% Off your next purchase in Ben & Irvs on your Eat in Restaurant or Take-Out Check. Valid thru 6/30/19. (1) coupon per table per visit. 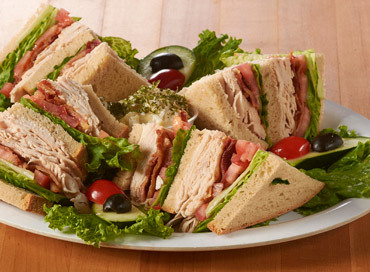 Not valid on e-club deli specials, soup or muffin specials, over the counter deli purchases, or deli items to-go. Not to be combined with any other discounts. Valid Thru 8/30/18. Must present coupon printout or on phone. Not valid on Passover Holiday or any Holiday!